Workspace Name: Change a Workspace's name. Email Address: Add or edit an email for this workspace. You may have different email addresses for each workspace. You may manage email addresses for all workspaces from your account's General Setting screen. 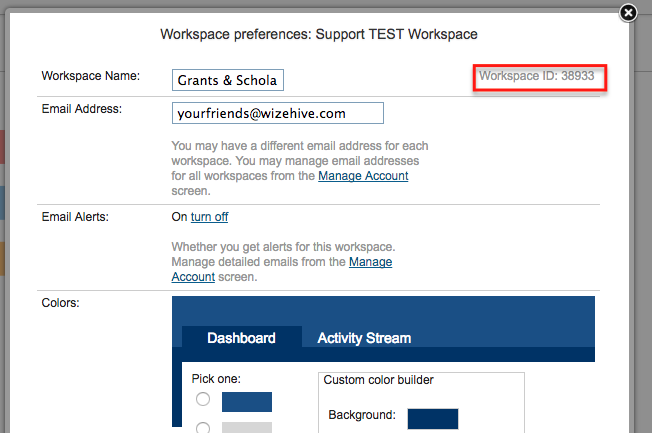 Email Alerts: When set, this setting will indicate whether you will get alerts for this workspace. You can manage detailed emails from your account's General Setting screen. Workspace colors: You can select the color that you'd like for your background, data bar, and data bar text. 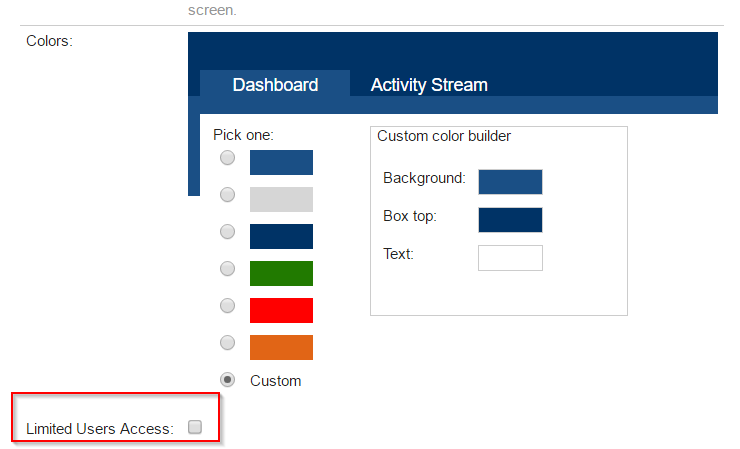 You can create a custom color scheme if you wish. Logo: Add or edit a logo. This logo will be used on the dashboard. Workspace ID: Unique Personal Workspace Identification. Limited User Access: When enabled, this setting gives Limited Users access to the backend of your workspace. For greater control over what Users can and cannot do, check out our Privileges Article (Disabled by default).